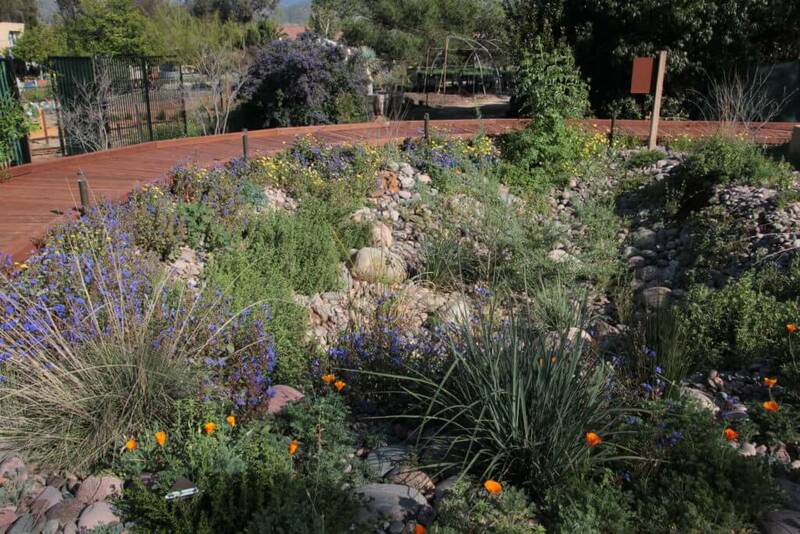 This Native Habitat Garden demonstrates an ecological technique called plant community landscape design. 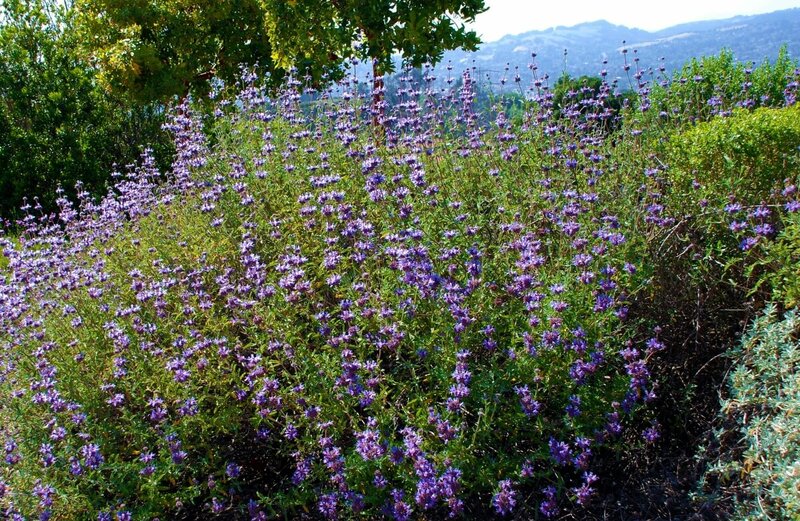 Three plant communities local to San Diego County are represented, each featuring a suite of plants that grow together in nature and support and associated diversity of wildlife, including birds, butterflies and other beneficial creatures. Simply determine your local plant community, place your plants using proper planting methods, and the animals will find you. 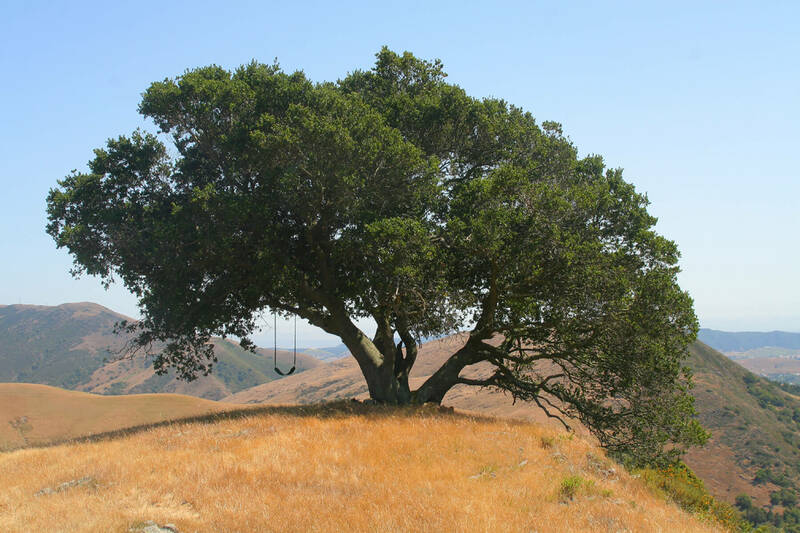 Oak trees create shade and organic soils that support understory perennials and shrubs. Many animals are completely dependent on our local oaks for their survival. Bumper crops of acorns feed many animals, shade creates critical cover for butterflies and birds, and the leafy woodland floor provides nesting opportunities for mammals. The perennial shrubs of the coastal sage scrub community come out of dormancy with the winter rains. In spring, this plant community is an explosion of blooming shrubs, and buzzes with life. By late summer, it again goes dormant, awaiting the life-giving end-of-year rainfall. 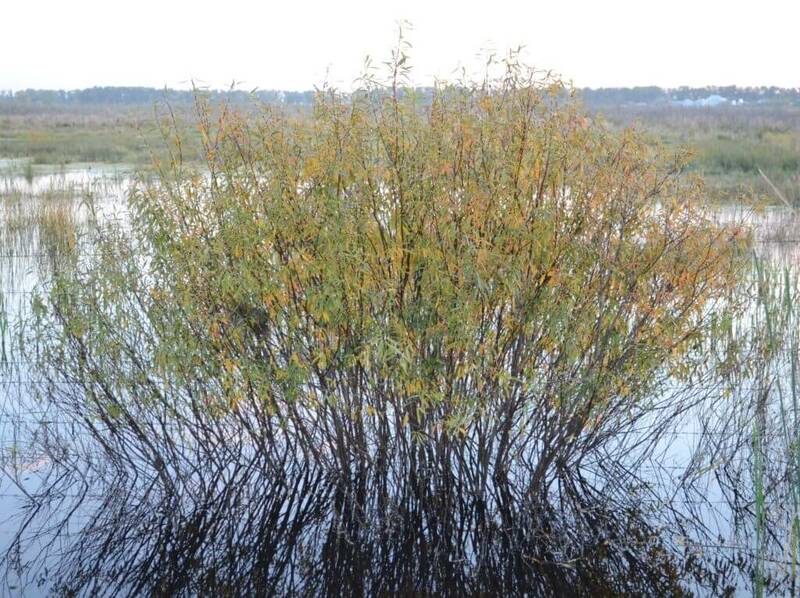 Wet in winter and dry in summer, seasonal wetlands are home to highly adaptable plants and provide habitat for a diversity of local wildlife. This plant community supports many invertebrates , which form the foundation of the food web, supporting larger animals.